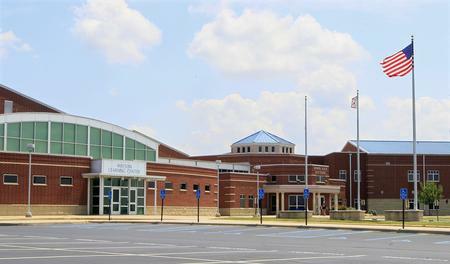 Monroe Local Schools has established several new accounting policies in order to avoid falling into fiscal emergency and state control again. The district learned last fall from an independent review of the district’s financial records that Monroe was in a “significant deficit situation,” with projected deficits of $1.6 million and $2.7 million for 2012 and 2013 respectively. Furthermore, the districted faced an operating deficit of 1.62 million, plus an additional deficit of $3.1 million was created due to a misuse of bond retirement funds by the school’s former treasurer. The current treasurer Holly Cahall is now required to report updates regarding the Bond Retirement Fund each month, using state-approved accounting software to make the reports. She also meets each month with the district Finance Committee and balances bank statements. According to the district, none of these policies had been in place before the fiscal emergency was realized. The district now requires its treasurer to be a certified public accountant. Furthermore, the board now requires seeing actual accounting reports, rather than re-written documents with the intention of making the reports easier to read for non-accountants. According to Cahall, the district is now better off than schools that haven’t yet experience fiscal emergency, due to the new policies that have been put in place. Monroe voters passed a $7.05 million, 5-year emergency operating tax levy that would generate $2.5 million a year in order to get the district out of fiscal emergency.